And that can often lead us to going above and beyond the call of duty. Managing Director Richard Whitney says he has heard a number of odd queries from customers, but that if he and his staff can help they will endeavour to do so. “Occasionally customers ask us to help with something outside of our main line of business,” he says. “And whilst we try not to stray too far from our focus we always like to say yes and help the customer. We are well known for our tyre fitting – we have a wide range of tyres from well known brands such as Bridgestone, Michelin, Uniroyal, Goodyear, Pirelli and Dunlop – and we fit them while our customers wait. But wheelbarrow tyres are not amongst our list of brands and stock, however that doesn’t stop us trying to help if we can. “We told him to bring it in to us so that we could have a look,” Richard added. 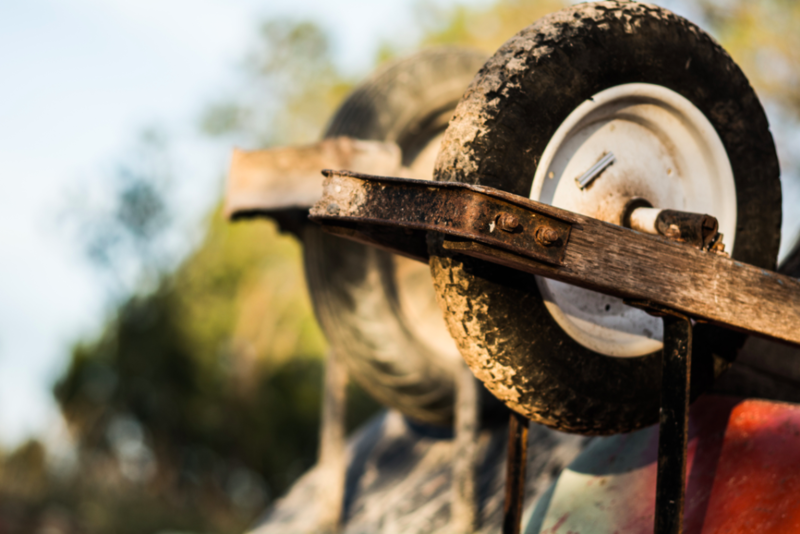 “As well as fitting new tyres and repairing punctures on cars, we do get requests to repair or replace wheel barrow tyres – and we are happy to help with this for our existing customers. “It’s all about helping them in any way we can. “And the customer was very happy with the job we did, he left us a great review saying we did a ‘great job of exemplary Dexter service’ and added that ‘it’s rolling great now’.